The law firm of Mackarey & Davidson, P.C. concentrates its practice in health care law. We have many years experience handling the complex legal and business issues facing todays health care providers and organizations. Physicians who are completing fellowship or residency programs are faced with a major career choice. After interviewing and considering a number of potential employment opportunities, the candidate may be presented with employment agreements from one or more possible employers. For physicians just beginning your practice in medicine, we recognize that you may be under financial constraints as you seek legal advice regarding the terms of your first employment agreement as a physician. Recognizing the importance of this decision, we provide a "New Physician Contract Package" to make the legal review of your new employment arrangements more affordable. This package provides for an initial review of your employment agreement, with our analysis and comments on the agreement. We will then discuss our comments and concerns with you about the agreement either in an in-person meeting or by telephone conference. This normally takes several hours, but we will charge you a flat rate for our initial review and conference with you. To the extent that we perform additional services for you after the initial review and conference time, such as negotiating the terms of the contract on your behalf with your new practice or its attorneys, review subsequent drafts of the agreement, provide an analysis of the terms of any buy-in, or do any other work beyond the initial review of your contract, the cost for this time will be billed to you at a special reduced hourly rate. 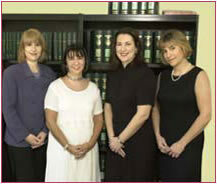 Coupled with our knowledge of the various aspects of the health care industry, Mackarey & Davidson, P.C. also provides general corporate and business advice to assist clients in a myriad of corporate and related legal matters encountered by health care professionals and their practices within the "business of medicine." We provide valuable insight as clients face the complex issues related to its day-to-day business operations, which range from choosing an entity (LLC or professional corporation), to practice split-ups, to personnel and real estate matters, to ensuring that the client's practice complies with various non-health care related federal and state laws that impact its business. MD also advises clients on day to day business issues their practices encounter, such as malpractice insurance, employing and discharging professional and staff personnel; and group issues such as governance, compensation, partnership issues, and retirement or transition arrangements. MD has extensive experience in drafting and negotiating all manner of contracts which healthcare providers rely on to keep their practices running effectively. Mackarey & Davidson, P.C. provides valuable guidance and resources to health care clients in regulatory and administrative law matters. We advise practitioners, suppliers and manufacturers concerning Medicare and Medicaid fraud and abuse, Stark and other Federal anti-referral statutes, as well as similar state laws and related ethical guidelines. Further, we assist clients in evaluating the applicability of such laws and regulations to their present business transactions and in structuring new business arrangements, including the development and oversight of compliance initiatives to comply with these laws. MD also answers client questions related to billing and reimbursement issues, and how to respond to requests for information and subpoenas from various judicial, governmental and regulatory bodies. Clients also receive guidance on regulatory issues raised by proposed mergers, physician networks and other organizations. As an adjunct to its corporate law practice, the Firm counsels clients in a variety of personnel and employment matters relating to professional, executive, administrative and other office employees. An important aspect of our practice, and a necessary component to the adoption of a Compliance Program, is advising clients on personnel policies and developing policy manuals, which protect corporate interests and limit liability. We provide timely and responsive advice on day-to-day employment law matters. Such matters include hiring, firing, overtime issues and sexual harassment, as well as those arising out of compliance with various federal and state discrimination laws, including Family and Medical Leave Act and the Americans With Disabilities Act. Unique to the health care industry are issues related to the departure of owner-physicians and separation of other physician employees. In these situations, MD drafts and negotiates termination and separation agreements, and provides guidance on various restrictive covenant issues, medical records and patient lists and related contractual disputes.